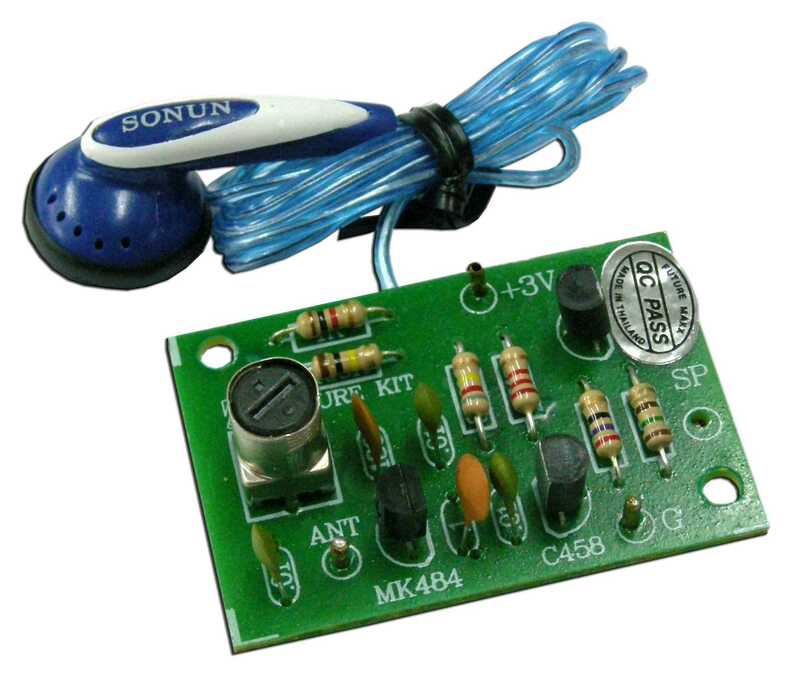 This kit creates a mini AM radio circuit. It is a saving circuit that requires few components and is suitable for educational use. - power supply : 3VDC. - consumption : 45mA. max. - PCB dimensions : 1.71 x 1.18 in.